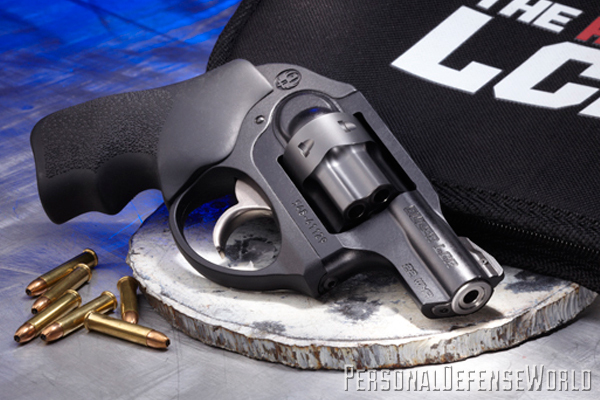 Ruger's ultra-modern and lightweight LCR .22 Magnum snubnose is compact, highly reliable and delivers excellent tactical performance with minimal recoil. 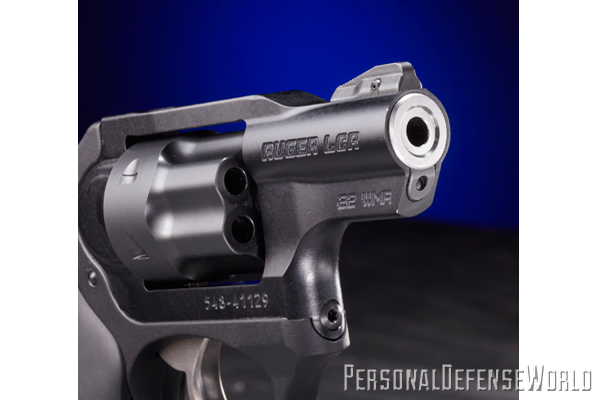 The ultra-modern and lightweight .22 Magnum Ruger LCR snubnose is compact, highly reliable and delivers excellent tactical performance with minimal recoil. 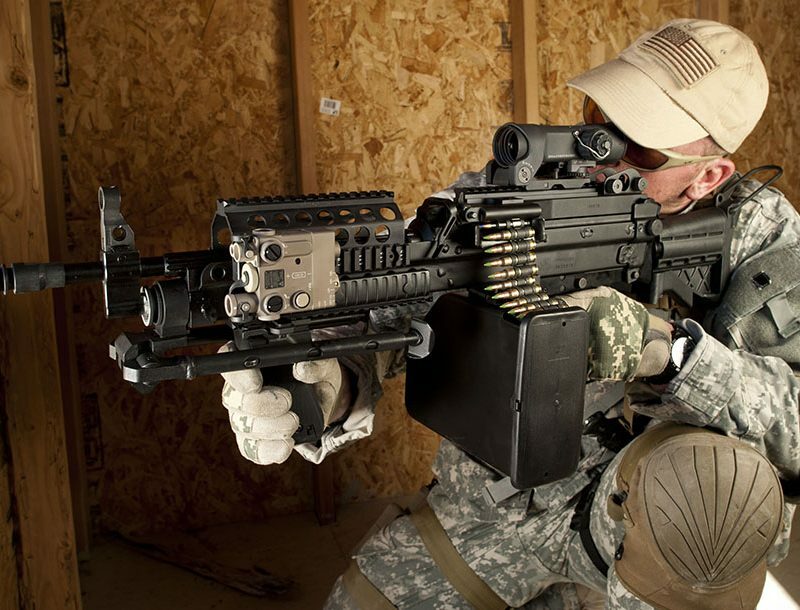 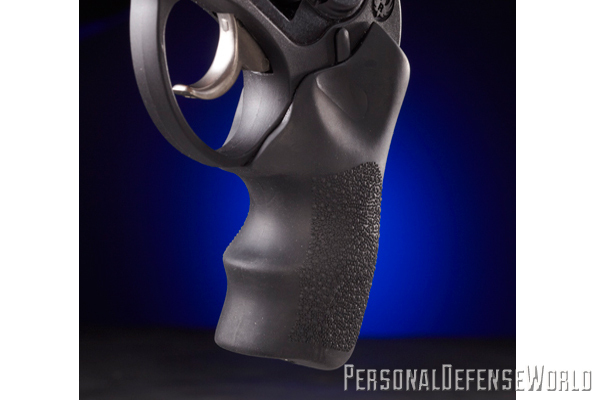 Hogue’s stippled Monogrip facilitates accurate rapid fire from the LCR. 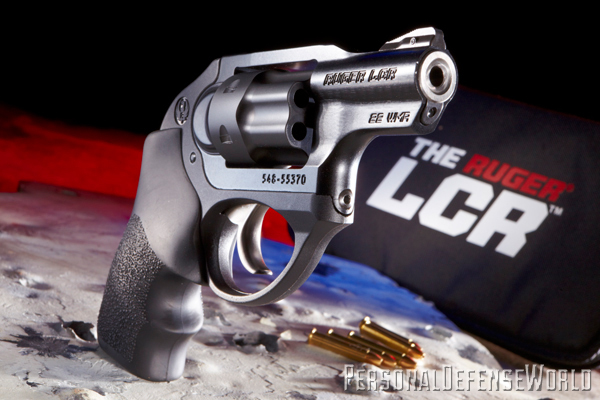 The LCR’s high-strength stainless steel fluted cylinder easily handles most modern .22 Magnum ammunition. 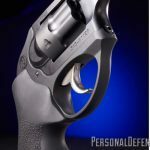 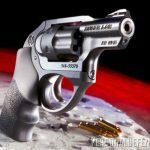 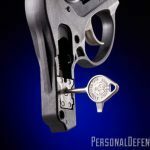 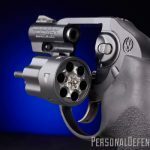 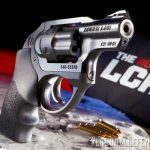 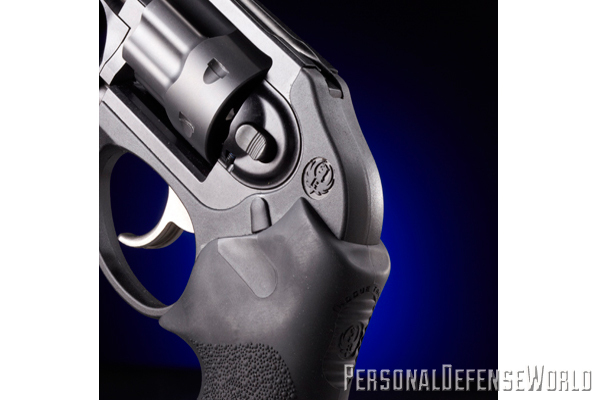 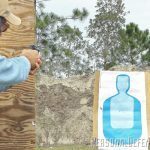 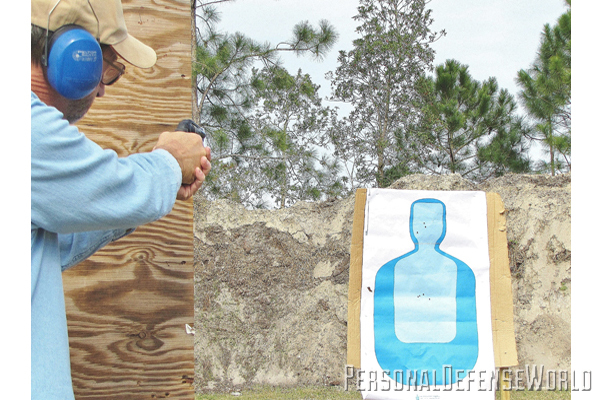 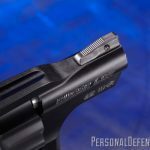 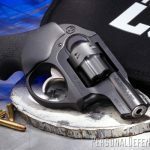 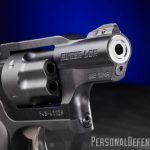 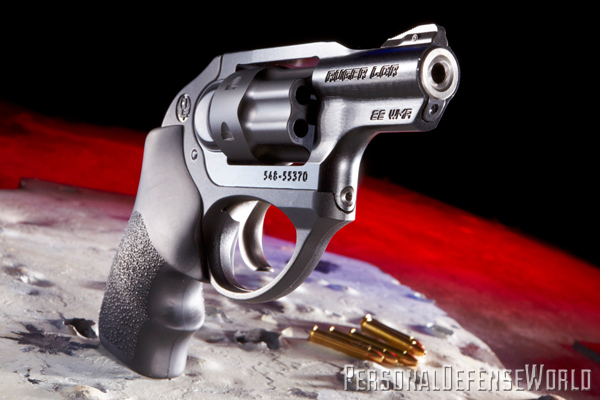 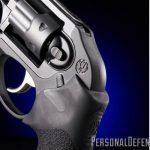 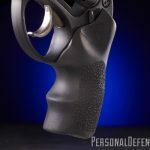 Ruger’s .22 Magnum Light Carry Revolver (LCR) was well received when it made its debut at a 2013 industry trade show, and it’s easy to see why. 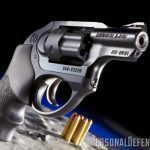 When fired from a lightweight snub-nose revolver, the .22 Magnum cartridge (also known as the .22 Winchester Magnum Rimfire, or .22 WMR) offers a 30 percent increase in power over the .22 LR with only 20 percent of the .38 Special +P’s recoil. 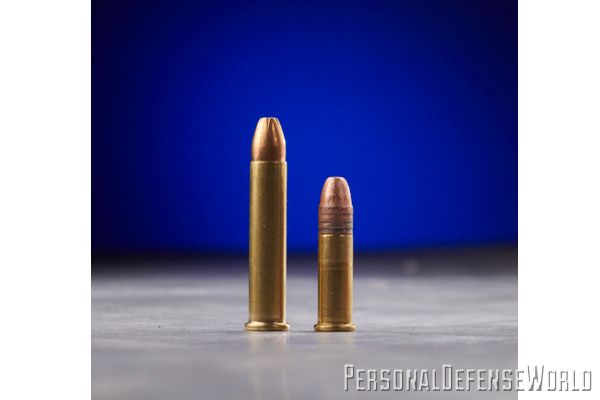 The relatively low price of .22 Magnum ammunition compared to that of centerfire defense loads is another plus. 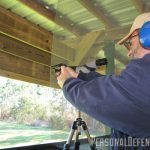 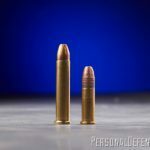 The .22 Magnum fits nicely in between the .22 LR and centerfire calibers when it comes to power, recoil and cost, and it’s a seemingly perfect chambering for recoil-sensitive people living on a budget. 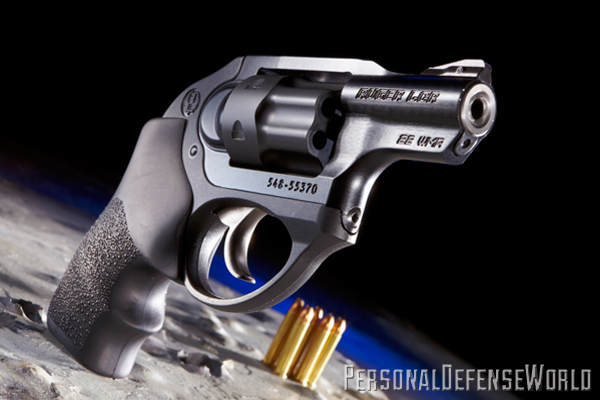 Single-action .22 Mag. 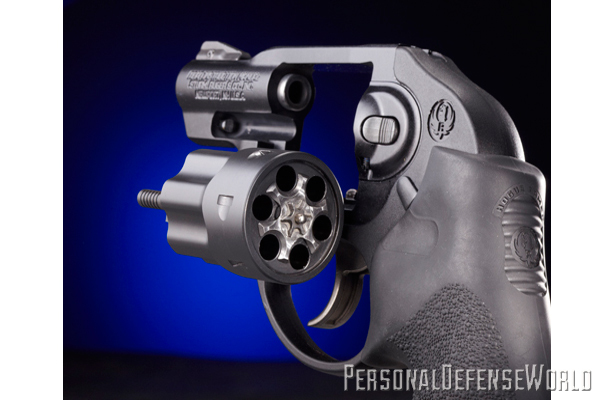 handguns have sold well since the 1960s, but double-action guns in this caliber haven’t been as popular because they generally have heavy double-action trigger pulls. 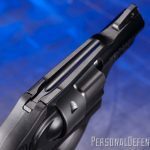 The extra-thick rim on the .22 Mag. 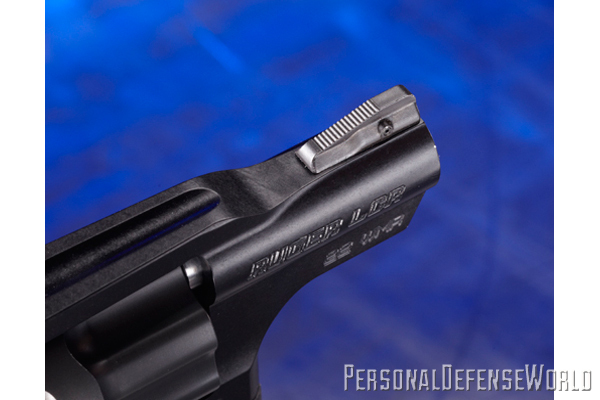 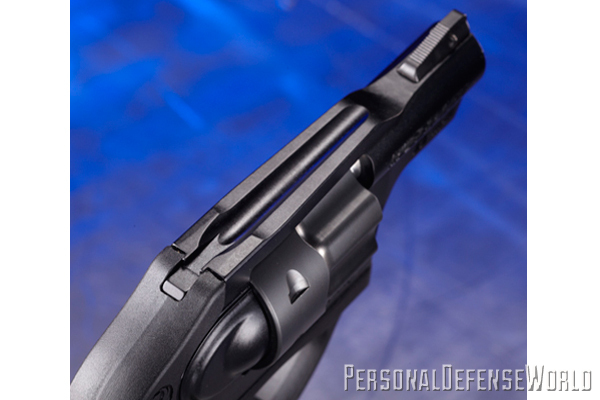 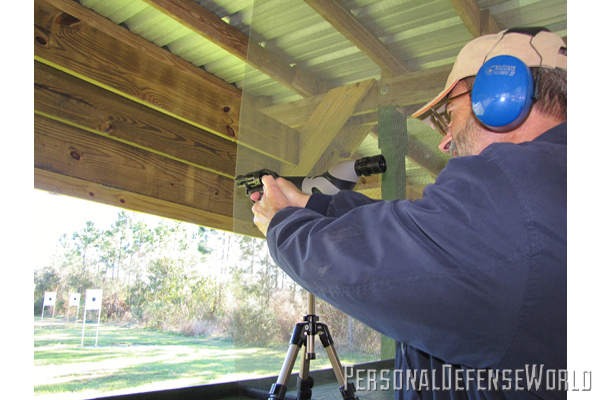 case requires a gun with a heavier-than-average mainspring for consistent primer ignition. 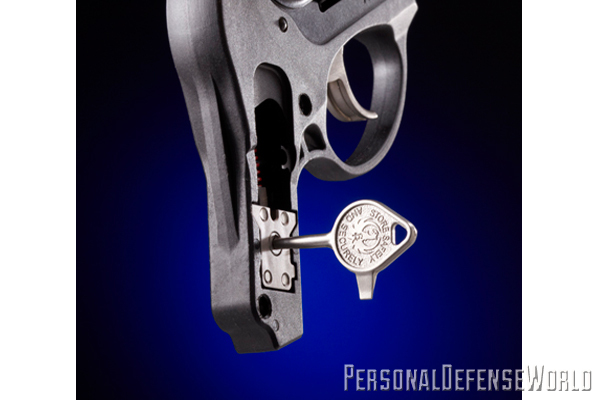 Therefore, it’s common for the DA trigger pull on a .22 Mag. 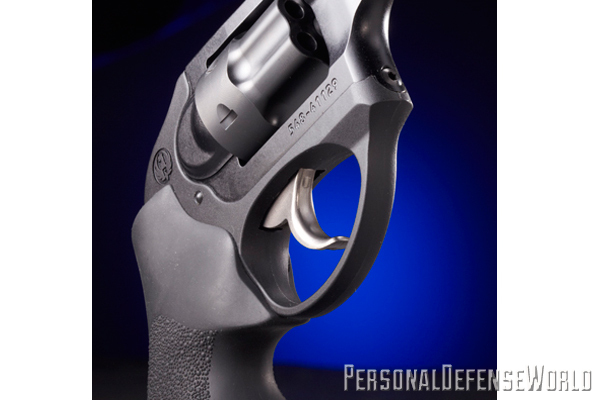 revolver to be over 15 pounds. 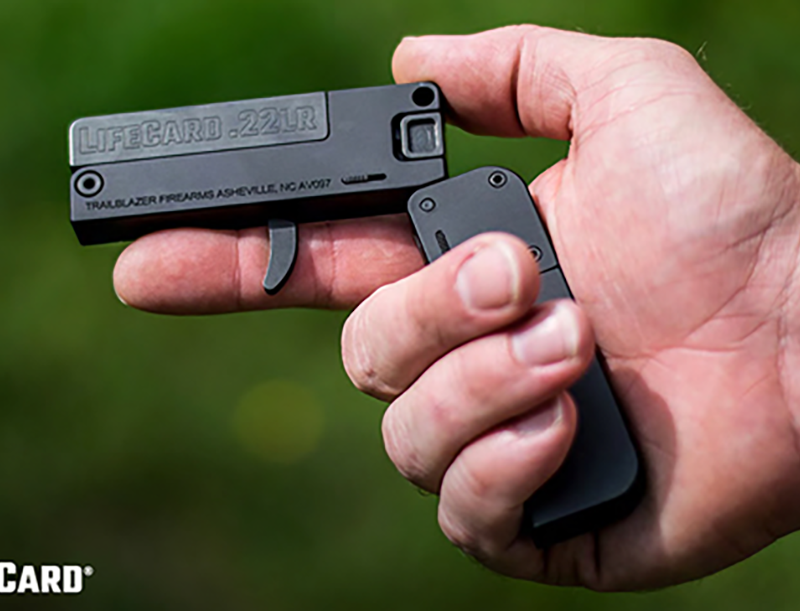 This is too heavy for the many older or small-statured people who might otherwise choose a light-kicking .22 Mag. 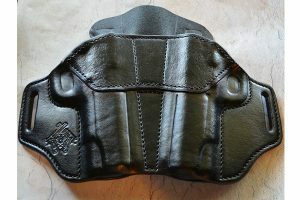 handgun for personal protection.